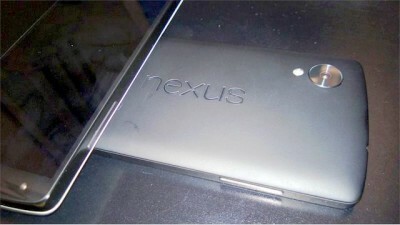 Google Nexus 5 or LG D820 specifications and features are known now. It is the first smartphone to have Android 4.4 KitKat. The Nexus 5 is manufactured by LG. If talking about the rumored specs of the handset there is noting much impressive then the latest version of Android operating system, although its price would also be impressive. The leaked log shows that the LG D820 runs on Key Lime Pie with build ver-KRS74H. The device would have 5inch Full HD 1080p resolution display, 2.3GHZ Qualcomm Snapdragon 800 quad core processor paired with 2GB of RAM and Adreno 330 GPU. The device would have 13MP rear camera with bunch of sensors, LED flash and a 1.2MP front camera. 5inch 1920×1080 pixels display at 431 ppi. 13Mp primary camera with LED flash and 1.2 front facing camera. 4G LTE, 3G, 2G , WiFi dual band, Bluetooth, GPS,NFC. 2GB ram, 16GB / 32GB ROM (internal memory). Gyroscope, G sensor,proximity, light, magnetometer, orientation and Accelerometer sensor.